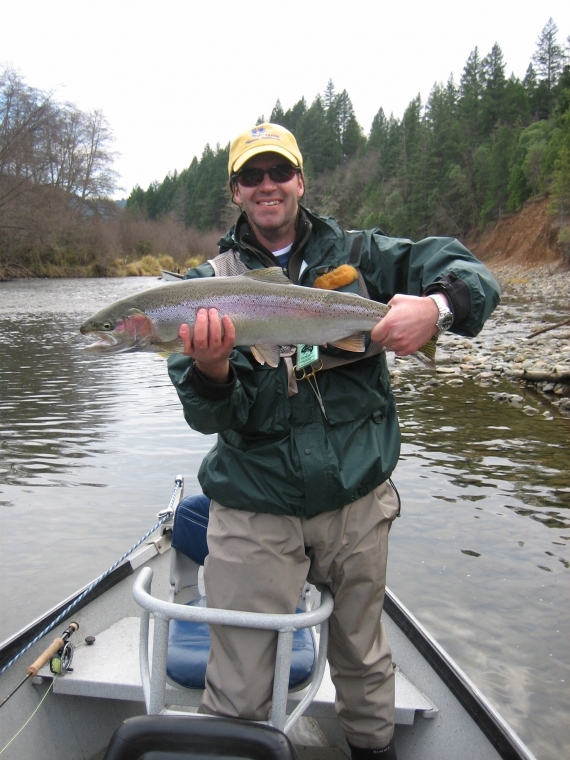 Grant received his Ph.D. in Molecular Biology from UCLA where he worked in Dan S. Ray’s lab studying DNA replication in the trypanosomatid C. fasciculata. His postdoctoral fellowship was at the Johns Hopkins University School of Medicine in Baltimore with Tom Kelly, where he studied regulation of S phase in fission yeast. He has been at U of T since 1999, Associate Professor since 2004, and Professor since 2011. My lab is on the 12th floor of the Donnelly Centre, a modern, multi-disciplinary and collaborative research institute on the U of T campus. We use functional genomics techniques, including genetic interaction screens and high-throughput cell biology, to study how eukaryotic cells transmit high fidelity copies of the genome from one generation to the next. Maintaining the integrity of the genome is central to biology, and is relevant to cancer, aging, and stem cell renewal. My graduate students and postdoctoral fellows have backgrounds in biochemistry, genetics, cell biology, and computational biology. And small appliance repair. 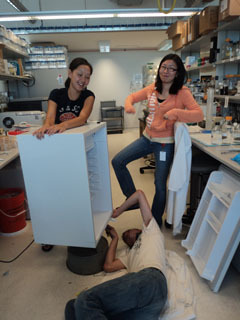 We study how cells maintain genome stability. Cells sustain thousands of DNA lesions every day from internal sources, including oxidative damage, replication errors and replication fork collapse, and from outside sources such as radiation and chemical agents. 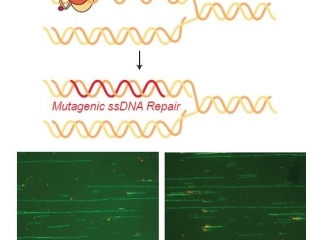 DNA damage and defects in DNA replication are a major source of genetic rearrangements that can cause cancer and aging, and even impact stem cell renewal. Additionally, DNA damaging agents see considerable use as therapeutics, particularly in cancer treatment. We combine high-throughput screens for global identification of genes and pathways that contribute to the DNA damage response with detailed molecular biological and biochemical analysis of pathway components in order to understand how cells respond to DNA replication stress and repair different types of DNA damage. High throughput visualization of protein localization changes during DNA replication stress. 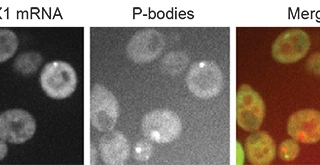 Proteins have to be at the right intracellular address to function correctly! 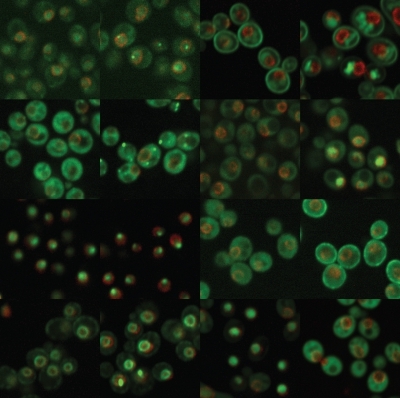 We use the budding yeast Saccharomyces cerevisiae, and mammalian cells, as models in which to study DNA replication, the DNA damage response, and genome instability. 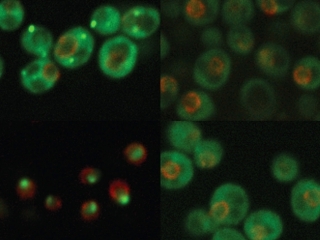 Genetic studies of the cell cycle in yeast have identified many proteins involved in regulating progression from G1 phase into S phase, proteins involved in the DNA damage response, and proteins important for genomic stability. The highly conserved nature of these processes makes study of the yeast cell cycle directly relevant to higher eukaryotes, including humans. The ease of genetic manipulation in yeast makes this model system ideal for introducing changes into proteins and examining the effects of these changes on cellular processes. 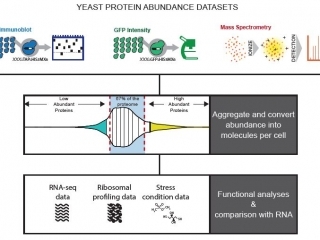 Functional genomic and proteomic approaches are well established in yeast and provide a means of studying these processes on a genome-wide scale. As the system becomes more tractable, we pursue similar approaches in human cells.